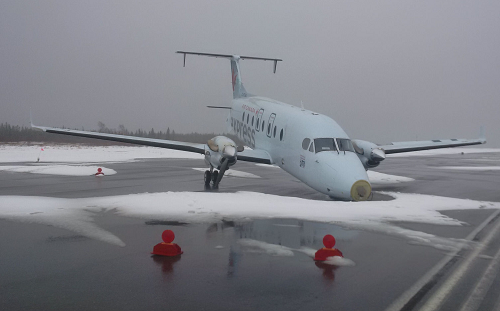 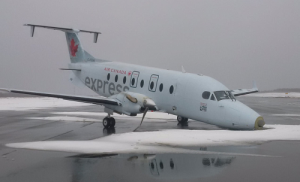 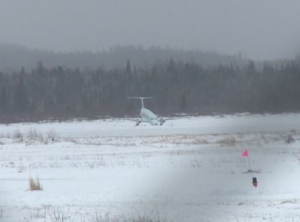 The aircraft was operating on behalf of Air Canda Express received major damage when it hit the runway nosegear first at Gander Airport, Newfoundland, Canada. 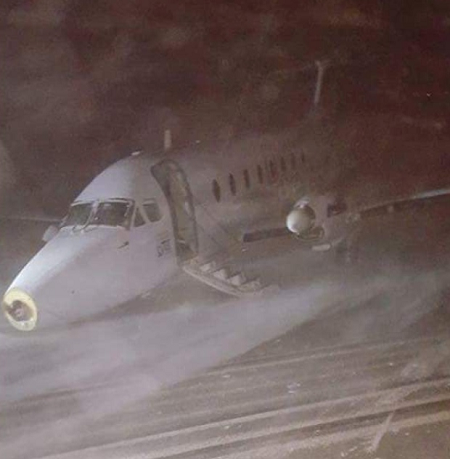 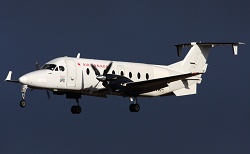 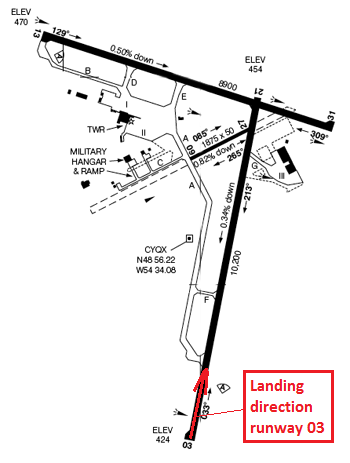 On landing runway 03 in turbulent conditions the nosegear collapsed and the Beech 1900 slid on its nose describing a near 360°-circle until it came to a standstill on the runway. Three of the 16 occupants were driven to hospital for minor injuries. 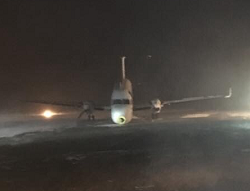 The nosecone seperated, and all but one propeller blades sheared off. 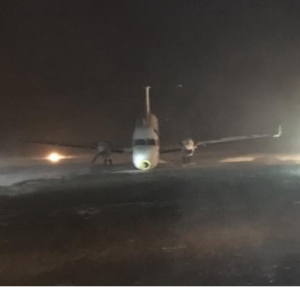 At the time of the landing it was dark and local weather conditions were unfavourable consisting of high winds paired with low visibility in blowing snow. The aircraft was not removed until the following morning.